Ultra-orthodox Charedi Jews could soon become the biggest part of the faith, Clive Lawton examines what the consequences of that could be, by visiting the growing community in Manchester. In the quiet leafy suburbs of Manchester in North of England, a huge and important shift in the dynamics of Judaism is being played out. 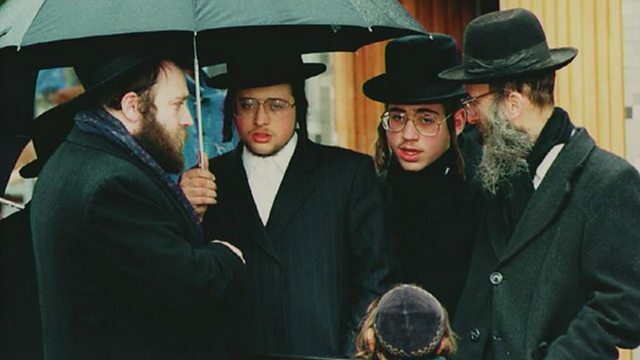 The area is home to the ultra-Orthodox Charedi Jews who, due to its prodigious birth rate, could soon form the majority of the faith. Clive Lawton, who describes himself as Modern Orthodox travels to north Manchester with his guide Dr Yaakov Wise to meet the community, which is both a window and mirror on to the whole Jewish diaspora, but he finds, as the community increases in size, so it is becoming more introverted. He meets Michelle Ciffer who runs the only faith based Sure Start children's centre in the UK to hear the pressure she is under to keep her centre free from the influences of other religions and influences, and how the trend for large families and concentration on religious studies over secular qualifications means that many Charedi families are living close to the poverty line.